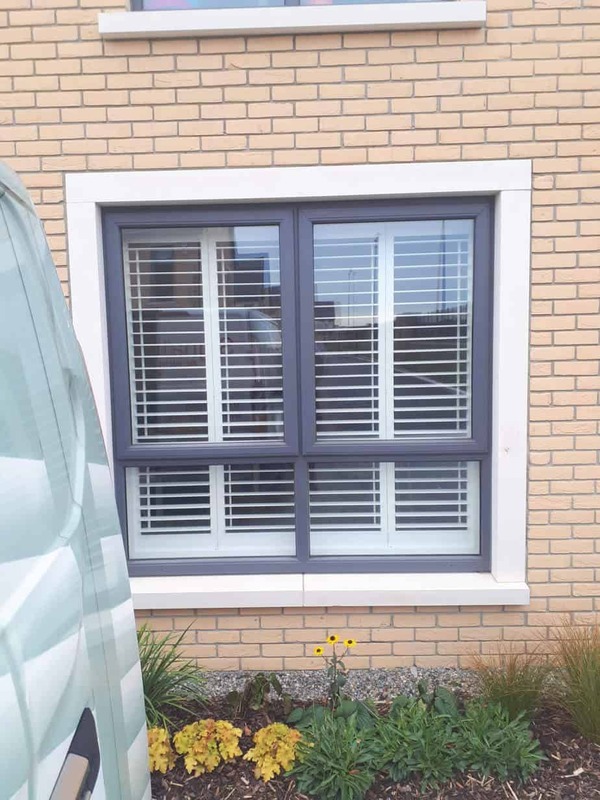 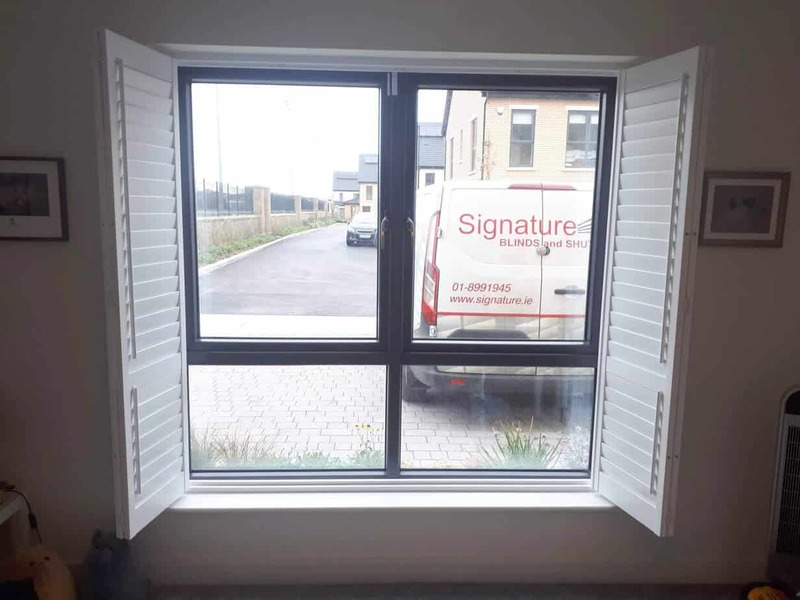 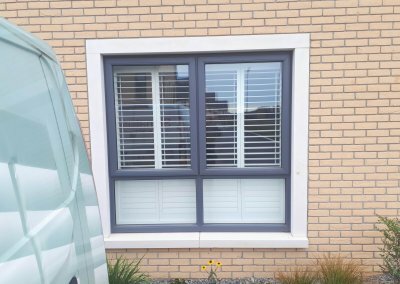 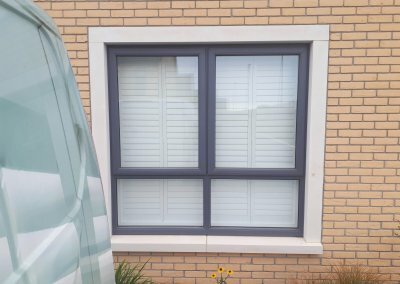 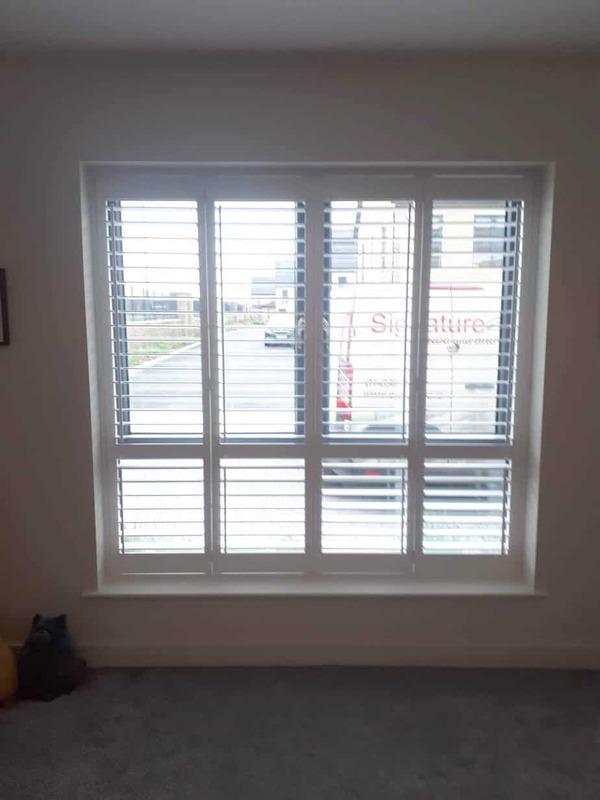 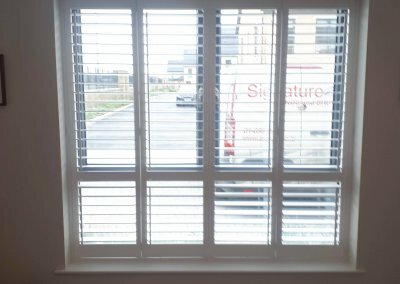 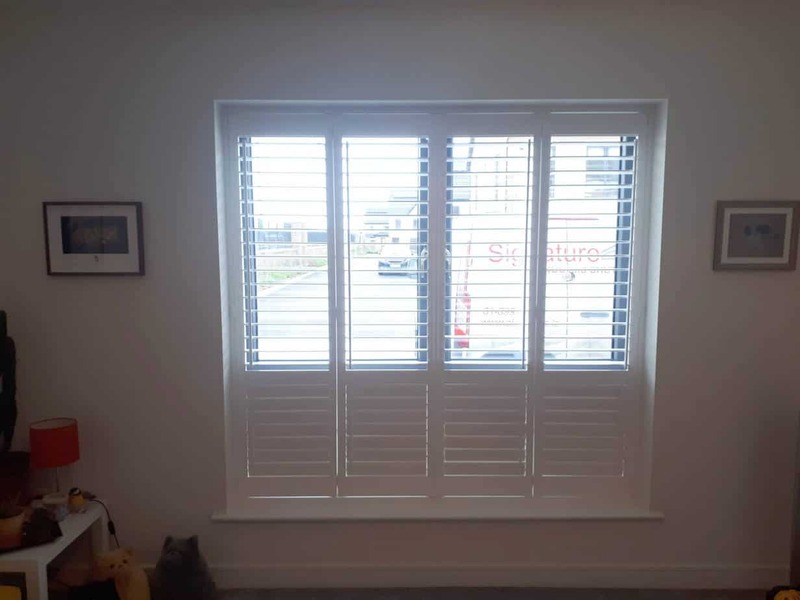 Plantation shutter installed in Churchfields, Ashbourne, County Meath. 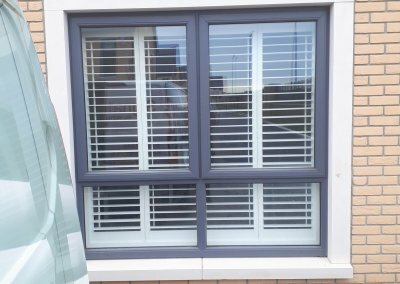 This shutter come with bi-folding panels which you will find will save you space when opened. 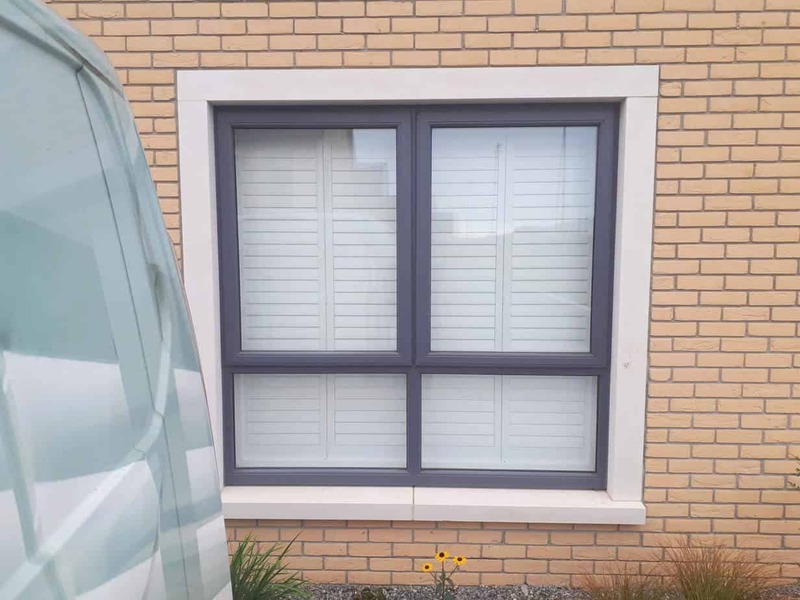 There is also a mid-rail which aligns perfectly with frame of the window. 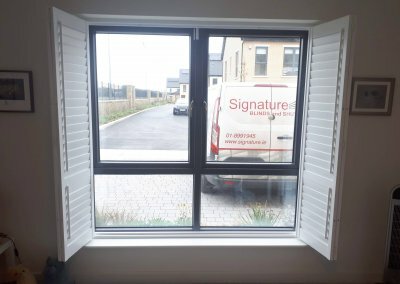 This mid-rail allows you to have the bottom part of the shutter closed while having the other part opened. 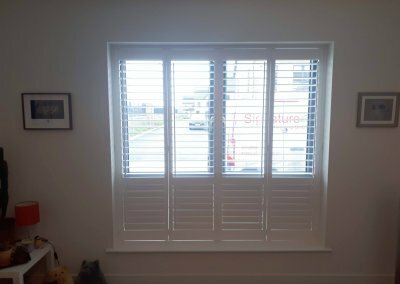 The tilt rods in the sides of the panels help you open and close the louvres but also provide a nice finishing touch and we all know perfection lies in the details.